When traveling with kids, it’s always exciting to experience a new place. My family has found that it’s also neat to live in someone else’s home because it makes us feel more like locals than tourists. The kids love it because it usually means more space to lounge or play than a motel room. I like what it adds to the uniqueness of our stay. Not to mention, homes come with kitchens! So it cuts on costs and makes for a more relaxed stay when we can cook a few meals ourselves, hang out, and just soak it all in. In the homes we’ve inhabited, we’ve also discovered great books, movies, toys, yards, porches, and even farmyard pets. If you’re traveling to Austin or live locally and have company coming to visit, a relatively new vacation home rental service has popped up that’s worth a look. 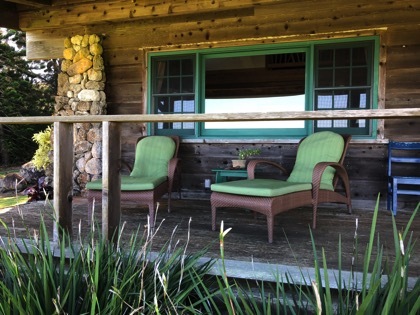 Austin Vacation Rentals features cozy neighborhood homes near the South Congress area, downtown condos, and waterfront houses in some of the best spots in Austin - and their website features a great list of resources and attractions. Traveling families can find baby gear rentals, toy rentals, family activities, pet friendly places, and child care. 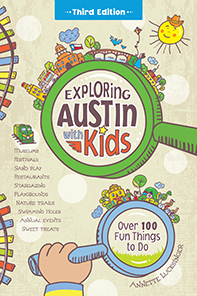 Even local Austinites will appreciate the list of fun activities, hikes, and tours that may inspire new adventures!